Our first two walks are in Antrim where we start our week. We will cross to Rathlin Island which lies 6 miles from Ballycastle off the Antrim coast between Ireland and Scotland and linked to both. From here Marconi sent the first radio signals to the mainland. On the boat we’ll see Fair Head, one of the great headlands of Ireland. The massive basaltic cliff falls sheer for 600 feet. 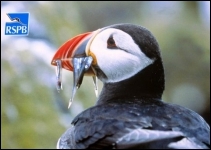 We will walk from the harbour to the Kebble Nature Reserve to view the 100,000 nesting seabirds at the west lighthouse. Among the birds are the puffins which we can watch closely through special binoculars provided by RSPB volunteers. Walking time – 4 hours including picnic. We can also visit the very interesting museum in the harbour. 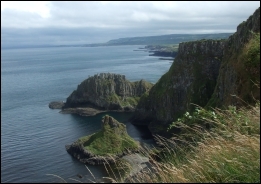 Our second walk is along the magnificent Antrim coast from Ballintoy to the Giant’s Causeway. This is Ireland’s World Heritage Area. 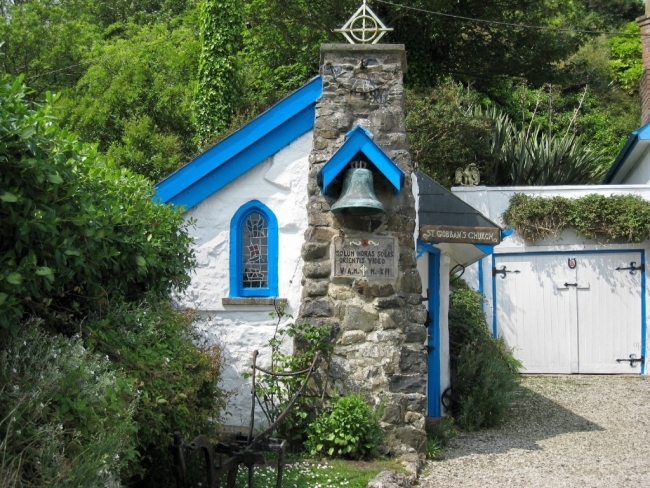 On this walk you will pass the small picturesque harbour of Port Bradden and St.Gobban’s, the smallest church in Ireland. Then you continue to the ruins of Dunseverick Castle and approach the magnificent series of bays, amphitheatres and sea stacks that lead to the Causeway with its 40,000 stone columns. 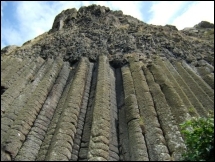 Before arriving at the amazing hexagonal stone formations of the Grand Causeway you will pass Port na Spaniagh. This is the place where the Gerona, one of the four great galleasses of the Spanish Armada, sank in September 1588, laden with men and treasure. Walking time: 5 hours with picnic. During our walks we’ll also see the famous rope bridge at Carrick-a-Rede once used by fishermen to bring their catch from the island to the mainland. 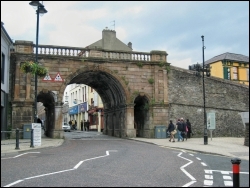 On day three we will move from Antrim to Donegal via the medieval walled city of Derry which was chosen as UK City of Culture 2013. We will walk along the famous walls and experience both ancient and modern history.